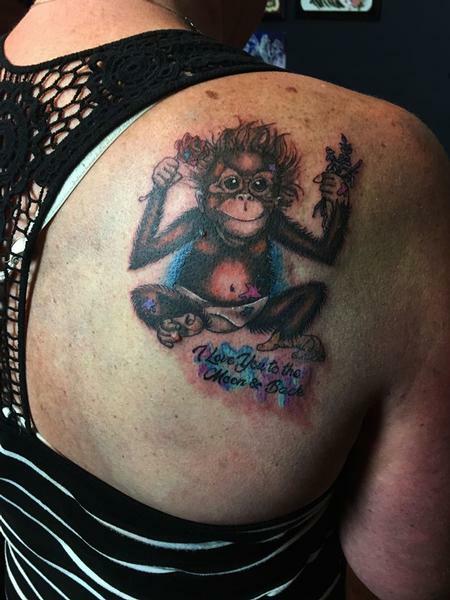 Deft Tattoo Studio : Tattoos : Nicky Noir : Baby Orangutan! For a lovely lady with a monkey on her back! I love making animal tattoos.